Diamond Contracting has over 25 years of experience in all types of new construction, from conception through completion. We can help you with each step providing engineering, architectural, construction planning and scheduling services. Our dedication to our customers guarantees that your project will receive the utmost care and attention with the commitment to time and budget with priceless quality. Our teamwork approach begins and ends with exceeding the needs and expectations of our clients. Our goal is to build a lasting partnership with our customers. New construction of showroom, service area and a parts department for Jaguar – Land Rover in Raleigh. Brand New 4200 sq. ft. pre-engineered framed building with up-fit as a Wellness and Rehabilitation Center. Construction of a new 17,558 sq ft. steel frame Education Building that required the relocation of the children’s playground. 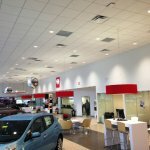 Construction is complete on the 25, 249 sq ft new addition and renovation for the Leith Toyota dealership. Work includes new Service Bays, Detail Bays, Parts Department and Showroom renovations and additions. Diamond Contracting demolished the old Honda building frontage to make way for the new 30,400 sq ft Nissan dealership in Cary. The renovation includes the service department, administrative areas and showroom and parts. Diamond Contracting built a new 1,214 sq ft single story building on the Clayton, NC campus of Bayer CropScience. The building contains a coffee counter, honey extraction and work room, office and associated support spaces including a toilet room, mechanical/custodial room. Site features include three parking spaces, a potable water well, and a septic system. The building will be a pre-engineered structure with pre-finished pre-engineered panels on the exterior walls and roof. 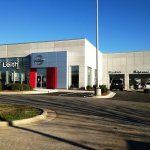 This expansion and construction of an existing Land Rover dealership into a new 14,300 sf Land Rover and Jaguar dealership was completed in 20 weeks. The project included the demolition of the existing 4,457 sf building and the new site work and framing of 12,575 sf heated and 1,725 sf unheated space, with interior and exterior finishes completed to corporate design standards. Diamond Contracting built a new 6,000 sq ft office and warehouse in the Town of Garner. The project is estimated to take 4 months and involves coordination with the Town of Garner and over 20 local subcontractors. This building consists of approximately 2,040 sq ft conditioned office space and 3,960 sq ft of unconditioned warehouse with 3 overhead doors. The building front and partial sides is brick veneer. The remainder of building is metal siding. The roof is standing seam galvalume. Frame of building is a pre-engineered metal building. Located in Smithfield, this 30,379 square foot, 3 story steel framed building was constructed on Market Street. This building consists of approximately 4,879 square feet of dental offices, with the remainder to be a painted envelope for future tenants. Diamond Contracting performed the selective demolition, site clearing, and earthwork at the Isabella Cannon Park, dedicated to the City of Raleigh’s first female mayor. New construction of walks and playground improvements included a picnic shelter, climbing boulder and supporting utilities. Diamond Contractor constructed a 6,400 sq ft Corporate Hangar for the Johnston County Airport Authority at the Johnston County Airport in Smithfield. Diamond Contracting constructed a new skate park at Marsh Creek Park for the City of Raleigh Parks and Recreation Department. This included below ground cast-in-place concrete structures with metal copings and rails, new entrance, brick seatwall and surrounding landscaping. The skate park offers street, flow, and bowl elements. Construction of this new 4050 sq ft free standing building was federally funded and commissioned by the Franklin-Vance-Warren Opportunities group. This building is home to the Franklinton Head Start Program, a day care center, and includes multiple classrooms, kitchen, restrooms and office space. This new construction project for the State of North Carolina was a prefabricated ammunition storage unit and required earth fill, concrete foundation pad, concrete retaining wall, steps, concrete pad, sidewalk, rain canopy, lights and electrical power supply. For the Town of Fuquay Varina, Diamond Contracting constructed this 57.5 ft by 24 ft concession and restroom facility at the Ballentine School Park. It consisted of a covered porch, concession area, restroom area, and connection to existing water, sewer, and electrical lines. Diamond Contracting is working with the City of Raleigh Parks and Recreation Department on the demolition of an existing stand alone restroom facility located in Worthdale Park and construction of a new 440 sq ft comfort station. Diamond Contracting has built multiple ABC Liquor Stores throughout Wake County for the Wake County Board of Alcoholic Control. Construction of these new 4,500 to 5,400 sq ft free standing buildings are designed with both retail and wholesale areas with shelving, and security systems and exterior signage. Site work includes grading, parking lot, landscaping, dumpster pad, and screen. The Firing Range Support Building was built by Diamond Contracting for the City of Raleigh Police Department. The building is a new 7,788 sq ft training facility and consists of training rooms, gun cleaning and storage areas, restrooms, and outdoor equipment storage. 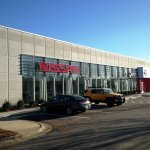 Diamond Contracting provided their expertise to build a 2 story 10,900 sq ft service center to expand the existing service/parts facility at this BMW dealership. This included adding lift racks for automobile service and expanding the parking lot. Diamond Contracting originally built this 45,400 sq ft building. 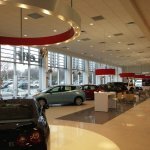 This massive project encompassed a showroom, service area, car wash bay, customer service area, sales offices, and extensive site work. Approximately eight years later, Diamond Contracting was hired to renovate the showroom and customer service area. This incorporated partial demolition of the building and reconstruction of the showroom and customer service area and involved partial site work. This provided a more open, contemporary and customer friendly environment.